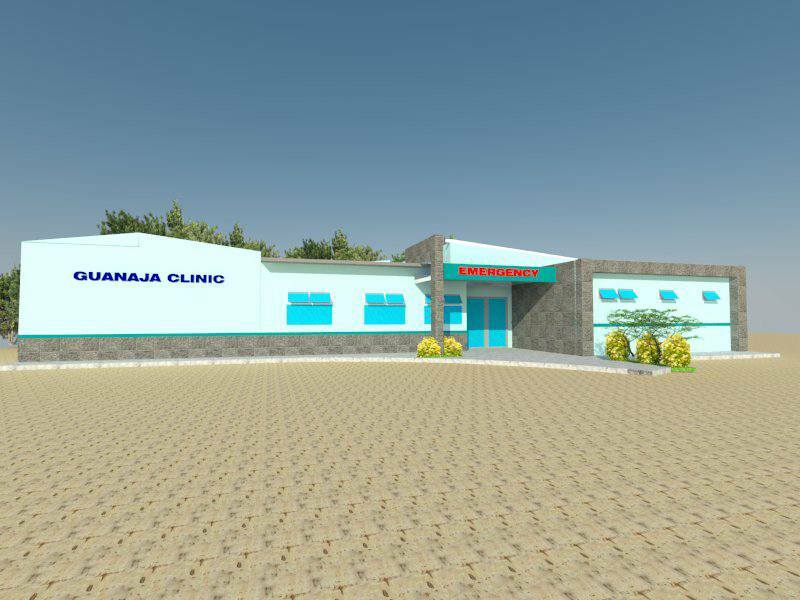 Spearheaded by Matt Nawrocki, Food For the Poor and with a little push from Fly Fish Guanaja the first ever Guanaja Honduras Hospital is being built. Without philanthropy the Guanaja Hospital and it’s proposed health care programs and surgeries would not be possible for the more than 8,000 residents of Guanaja. Top tier production Company Cold Collaborative made this movie helping ignite the movement: Fish for Change. We have teamed up with BICA - a non profit organization (Bay Islands Conservation Association) . BICA Guanaja gets 8% of all proceeds which goes directly to protecting the reef, mangroves, and fishery of Guanaja. BICA has sustainable fishery plans in place for Guanaja and no means to implement, this will finally get them off the ground. The project is an initiative of the Bay Islands Conservation Association Guanaja (BICA Guanaja) and is a multi-year restoration effort to plant mangroves to restore a self-sustaining healthy forest on Guanaja Island, Honduras. Alongside locals, students plant mangroves throughout the course of the week and work to rebuild mangrove habitats. These mangroves create shelter and stability for the island and nursery habitats for juvenile fish. Fish for Change creates recycled art murals in town to add a little sunshine to communities. 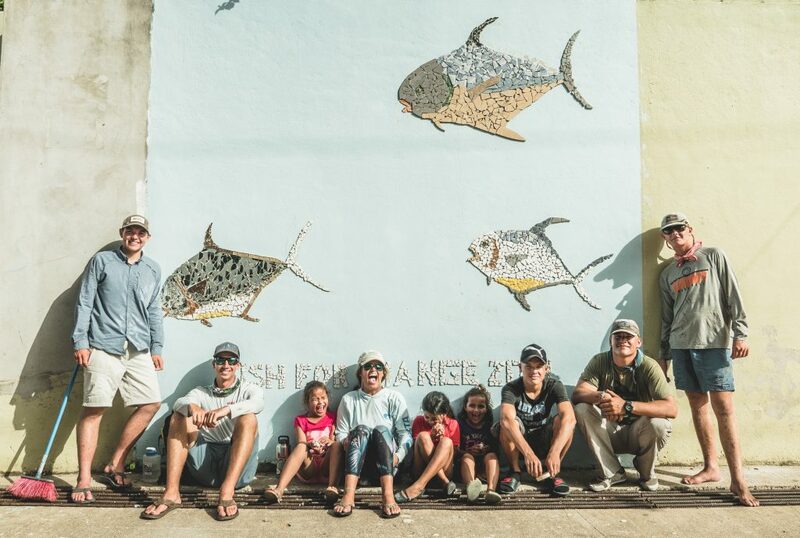 Program Students, alongside kids from the local community, work together to create uplifting artwork paralleling with Fish for Changes mission. We are creating single-use plastic free campuses. 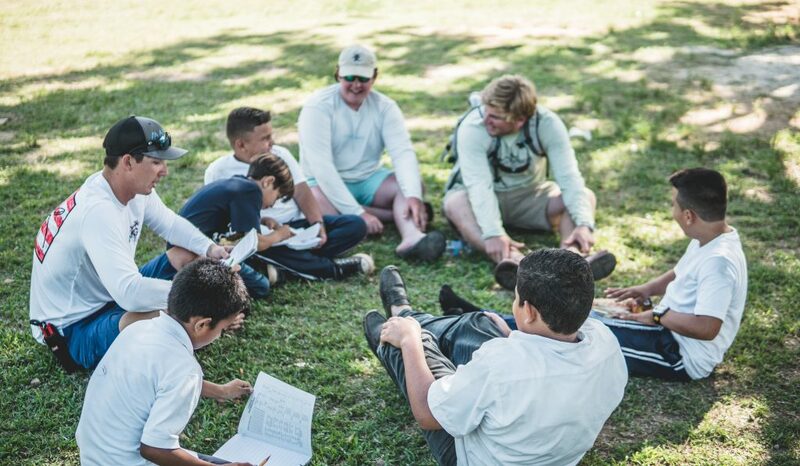 Plastic is very detrimental to our planet and with proper education and awareness, we are able to educate program participants and local communities to lessen their footprint and make a difference. Students help with literacy projects in local schools. Throughout the course of the program, they have the opportunity to be both students and teachers as they develop into leaders. 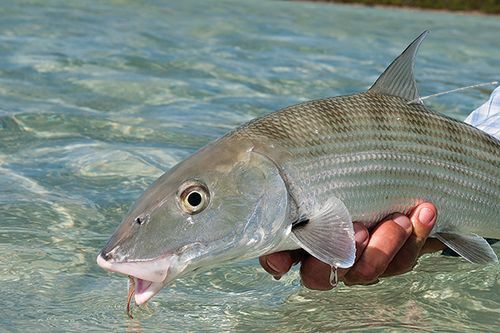 Bonefish Tarpon Trust educates our students on the science and research that goes into the proper protection of Bonefish, Tarpon, and Permit. Citizen science is used to create the next generation of stewards within the sport and teach the students proper handling and tagging techniques.